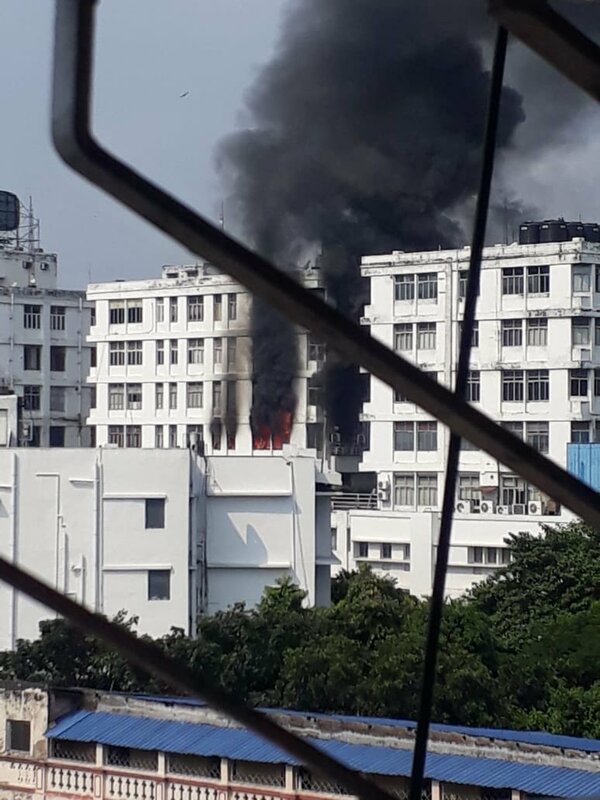 A Fire broke out this morning in Kolkata’s posh Park Street area. The 5th floor of the multi-storied Apeejay House. No one is reported injured, ten fire tenders have rushed to douse the fire. Efforts are being made to evacuate the premises. This is the headquarters of Apeejay Surendra Group, and also has many other cooperate companies. This is a developing story, further updates to follow.